Raven H. Price is a retired government employee who wants to spend the rest of her time providing Christian Fiction to readers with a romantic and supernatural twist. 5.0 out of 5 starsHope learns how to trust in God. The hardest battle conceivable, Hope had to face. She clung to her faith but still fought anxiety and fear. She learned self-respect for others as well as herself and stood firm in her faith as well as with her church even if they were not standing firm with her. Through the means of a TV evangelist, Hope learns how to trust in God and communicate with him through prayer. Because of her obedience to HIM, she is granted the gift of intuitions and intercession. Raven H. Price, writes about spiritual warfare and how the adversary, Satan, uses the unexpected to drag one away from living victoriously in Christ. In her unique way, she mixes truth with fable with the intention of leading her readers into a relationship with Jesus or if already a Christian a deeper relationship with HIM. Throughout the pages of Convicted, there is a message thread of salvation through Jesus alone as well as building a stronger trust and reliance on the Holy Spirit to live triumphantly in this life. With startling clarity, Christian author, Raven Price, powerfully and vividly takes us on her protagonist’s, (Hope’s) emotional and physical journey as she struggles with good vs. evil. It is a passage of redemption from an abusive relationship that still has a stranglehold on Hope, handcuffing her to the past. Hope soon discovers it will be difficult to shed those shackles, both mentally and physically chaining her to the past. The symbolism in this story is convincing and vivid, like an accident you turn away from but are still attracted to at the same time. You are compelled to see how this woman will conquer her fears and abusive past (her ex-husband) still stalking her, as she struggles to change her future to one of hope, her namesake. It is a concept she personifies throughout this story with an emotional climax that nearly breaks Hope until she realizes her faith (good) will conquer over her nemesis (evil) in the end. You can’t help but root for her to win. 5.0 out of 5 starsGod, forgiveness, growth and love. Hope is a twice divorced woman, abused and battered by her last husband. Unhappy. Wants more out of life, but tired of the dating scene and one night stands. After hearing a female evangelist on TV, Hope wants more of that kind of good information. Knowing she has no desire to marry again, she decides to explore her relationship with God. God is overjoyed and responds. And that is what this wonderful story is all about. God, forgiveness, growth and love. I loved this book and look forward to reading more. I highly recommend this book! I discovered this book to be very encouraging. The plot was intriguing .it sent the strong message that Jesus will always defeat the evil one. The story reminded me were are in a battle with an enemy we can't see. I thought the story got better as it progressed. I was glad the author didn't pull any punches about what Hope suffered at the hands of her abusive ex husband. I believe the story wouldn't have been honest if she'd candy coated the experience. The ending prepared the reader nicely for the next book in the series. 5.0 out of 5 starsGreat read! Are your spiritual eyes open?? It was hard to put down this story of Hope's journey from fear and despair into revelation and relationship with the wonderful Counsellor. So many books labeled as Christian fiction have no real depth. This book is rich. It is sure to inspire readers to want more of God and also encourage us to take our places in the kingdom as fully armored warriors, possessing our land and ready to stand in the gap for others. I loved how it showed how very exciting it can be! The author has a great writing voice and is an excellent storyteller. 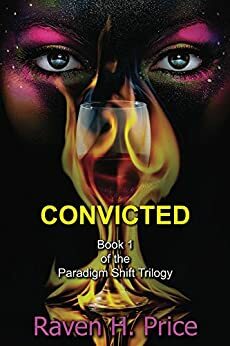 I really enjoyed Convicted and highly recommend it. Are your spiritual eyes open? ?